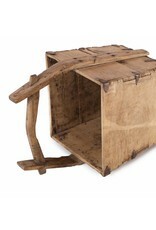 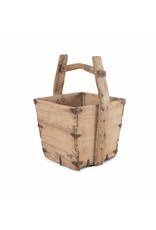 Large antique Chinese water bucket - Old Wooden stool, Authentic rustic wooden stools en benches. 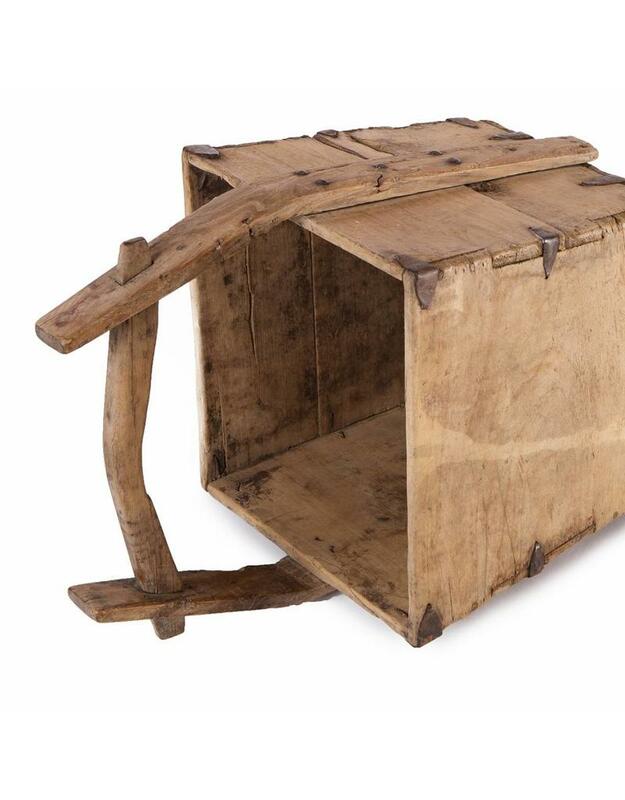 A classically shaped large antique Chinese water bucket with original iron fittings. 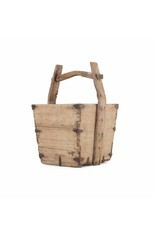 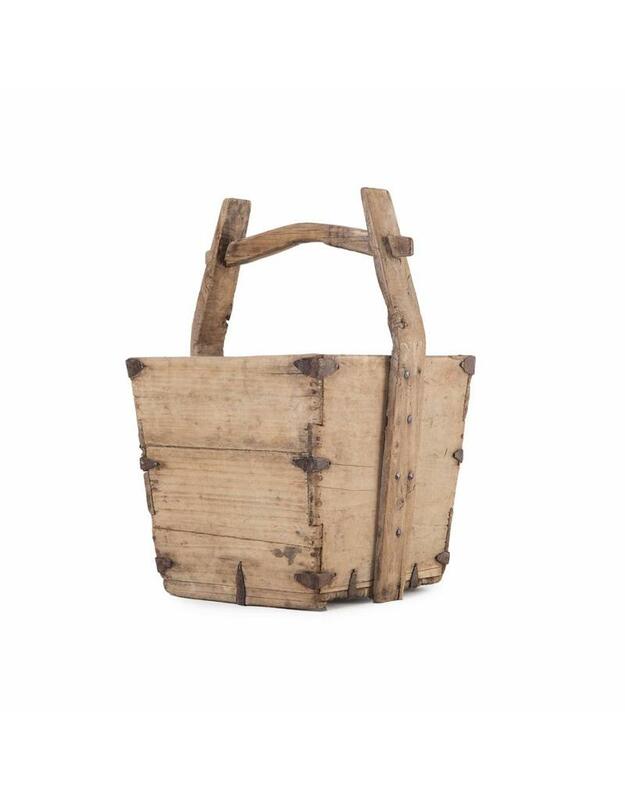 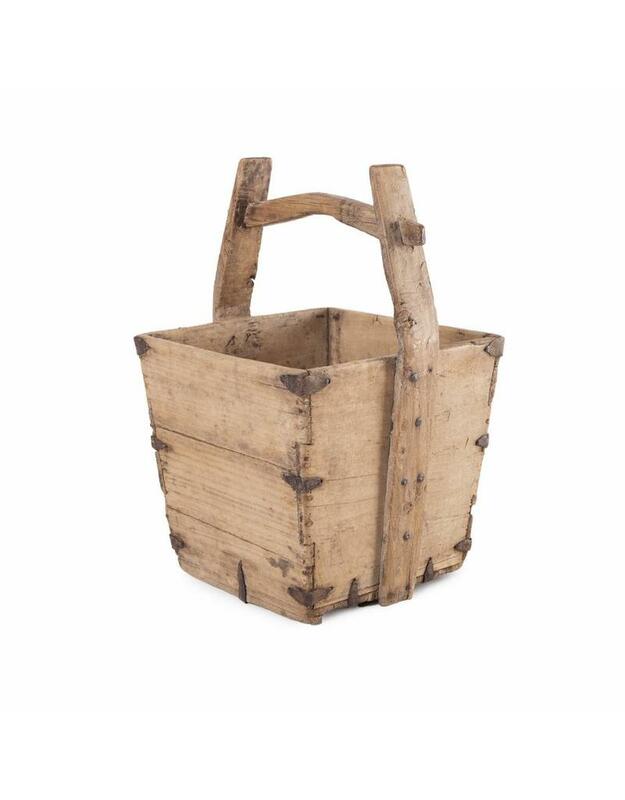 An historical piece with many practical uses including, firewood storage, magazine or book display, or rolled up towels in a beach house.